Baseball season is just around the corner and as practices fire up, coaches should remember to focus on the process of gradual rises in workloads. Whether it’s in the weight room or on the field, all aspects of sport development are stress on the body. As stress builds, so does an athletes reaction to it. On the one hand, as stress rises gradually so does the athlete’s tolerance. With increased tolerance means the ability to withstand longer, and more intense workloads. However, on the other hand, raising the intensity or volume too quickly results in fatigue, and eventual breakdown. All coaches are prone to jumping the gun. I’m no exception. Realizing what your athletes are prepared for can go a long way in keeping everybody on the field and out of the training room. An athlete’s best ability is durability and not being on the field doesn’t lend itself well to being a great baseball player. Excessive increases in training loads too quickly are highly correlated to soft tissue injuries. Recent research, from Tim Gabbett especially, has shown the high correlation between rapid rises in workloads over the norm and breakdowns. This is known as the acute versus chronic workload ratio. Pre-season practices ramp up in January for many. December and January become hugely important months to prepare for the stress and strain of what’s to come. The most time away from coaches seeing their athletes happens during that same December, January period. No other sport begins a season following a long layoff on break away from coaches and support staff. Football programs train in the summer all the way up to camp. Basketball teams are in the middle of a school year when their season begins. Baseball returns from a long layoff and is thrust into their season. It presents extremely unique challenges when it comes workloads and preventing injuries. The acute training load is the current load on the body from training. The chronic training load is the long-term training load over the past weeks, and months that an athlete has been doing. We’re not just talking about the weight room when we talk about training load. This applies to practices, weight room, throwing, everything. The acute versus chronic basically boils down to what they’ve done versus what they’re currently doing. Take the example of a pitcher that did no throwing over Christmas break and the first week back is expected to reach max long toss distances and throw a bullpen. They essentially went from 0 to 100 in a matter of days. They have not prepared for what they are currently doing. Sharp rises in workloads result in stiffness, soreness, and increased injury risks. What does all this really mean in terms of planning practices? Gradually increase the workloads. Gradually increase volumes and intensities. You’re asking for trouble by starting the year’s practices off with a bang if your athletes haven’t been doing anything but playing video games. 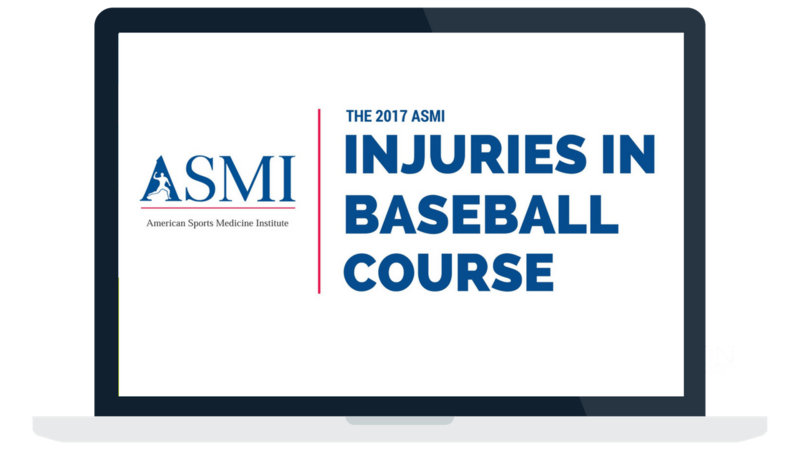 A study by Posner in 2011 over a seven-year period for MLB players show that the large majority of injuries occur in the first month of the year. The study didn’t include spring training injury rates but we could safely assume from the data that the injury rates are most likely even higher in March. Most overall injuries during a season happened in April and regressed the rest of the year. The reason is athletes’ bodies are adjusting to the new stress. In many cases, the athletes aren’t fully prepared walking into spring training. Workloads spike, and eventually something fails from being over-stressed. Whether a muscle strain, or a ligament tear, spiked workloads will catch up to the athlete. It never fails when pre-seasons start up one of the biggest injuries are hamstring and quad strains. These dominate injury reports across the board in the first month from the high school level to MLB spring training. Athletes often fall into 3 buckets: they haven’t run, they have run but haven’t sprinted repeatedly at full speed, or they have sprinted at full speed but haven’t ran the curve of the base paths. All three leave athletes unprepared. We combat this problem with tempo runs gradually increasing intensity from sub-maximal speeds to full speed bases over the course of several weeks leading up to the start of the year. Athletes start with apron runs to adjust to running on a curve. These runs are usually at 65-75% of full speed around the dirt edge of the infield. From there we move into bases and gradually keep building intensity to max speed runs. Remember this progression happens over the course of days and weeks, not just one or two workouts. Build intensity gradually. It should be obvious to coaches that prep for the season must start far in advance of the first practice for pitchers but you would be surprised. Preparation is at the peril of holiday breaks for most high school athletes. Often, it’s on the athlete themselves to take care of their throwing. Southern states start up official practices mid-January. Athletes usually rush throwing programs through January to be mound ready for practice day one. This typically comes from the “I forgot to throw” over Christmas break. Mix terrible preparation and large escalating workloads on the arm and you’ve got a recipe for injury. Appropriately dosed and progressed throwing programs may be the single most important aspect for keeping your team on the field. Muscles heal relatively easily compared to ligament strains, and tears. Every year, UCL’s are at peril in the elbow from callously thrown together programs that don’t incorporate a gradual progression of intensity. It’s not always on coaches, athletes are just as responsible, if not more, for taking care of their throwing during these breaks. Too much too soon and you’ll be sidelined. All forms of training are stress to the athlete regardless of where it takes place. The weight room is no different in that we want gradual progression of intensity. Starting athletes off the first day with percentages that reflect their pre-holiday maxes are often asking for trouble. Young, novice athletes will lose strength quickly following a layoff. It’s not unusual for a high school athlete to lose 10-15% in a matter of weeks. The less trained the quicker the residual effects disappear. Lowering a max number to 90% of previous capabilities is one way to adjust for those who haven’t trained over the break. Another method is to drop the relative intensity. If you would normally start athletes at week 1 at 70% for 4-6 reps, have them use 70% for 2-3 reps.
We’re still using 70% but now we’ve lowered the relative intensity. Obviously, performing 2 reps is much easier than 4 or even 6 reps at that 70%. Technology has taken over everything in the past few years. Resources can be thin at many schools making some coaches feel like their missing out on these expensive high powered tools. Coaches must realize they don’t need a fancy method of measuring readiness. Common sense should take over in most cases. The coach’s eyes are often the most important tool adjusting practices and training sessions. A good coach can tell when athletes are tired and run down. Having the ability to know when to pull back on the reigns is integral. Know your expectations of the pre-season period. If it’s to have simulated competition as far as games, and live at-bats from the get go make sure you’ve prepped your athletes to face those stresses when they start up and you’ll watch early year pains and strains go by the wayside. Want to Monitor Your Own Acute to Chronic Throwing Workload Ratios? The Motus sleeve is an amazing device that you can wear while throwing to measure the force on the arm and stress on the ligament. It has the ability to monitor the forces while throwing, but also to calculate your own specific acute to chronic throwing workload ratio. Then, the app will give you guidance on how to adjust your throwing program to optimize your results. Starting his 11th season at TCU as Senior Assistant Strength and Conditioning Coordinator, Coach Dechant oversees the development of Baseball as well as assists with Football. His previous experience includes time at the University of Wyoming, two seasons with the Los Angeles Angels of Anaheim, two years at Missouri State University, as well as a stretch spent with the University of Washington as an intern. Zach graduated with a Bachelor’s Degree in Health and Wellness from Missouri State University in 2003, and is currently working towards his Master’s Degree. He is certified through the NSCA, CSCCA, FMS, and USA-W.
During the off-seasons, Zach trains a large group of 25+ professional baseball players from across all levels of play as well as athletes from the NFL.